Joseph Goebbels and Ludwig Fichte in Leipzig, 1939. Joseph Goebbels with the Vice President of the fair office SA Brigade leader Ludwig Fichte (right) in front of the main station in Leipzig after the arrival of Goebbels. 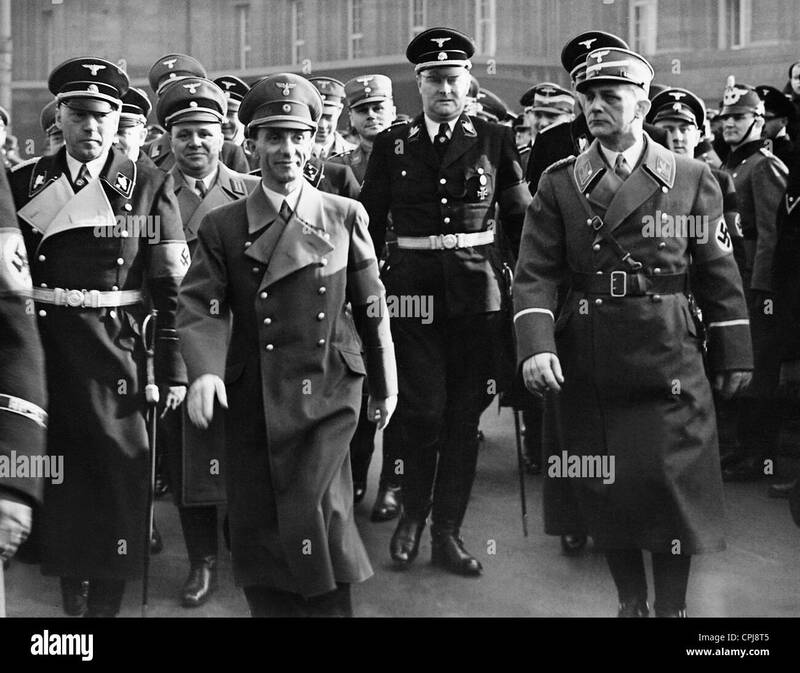 The Reich Propaganda Minister arrives for the opening of the Leipzig spring fair.